Blackheath Library move into Age Exchange? Lewisham Council would like to move the library into the Age Exchange. 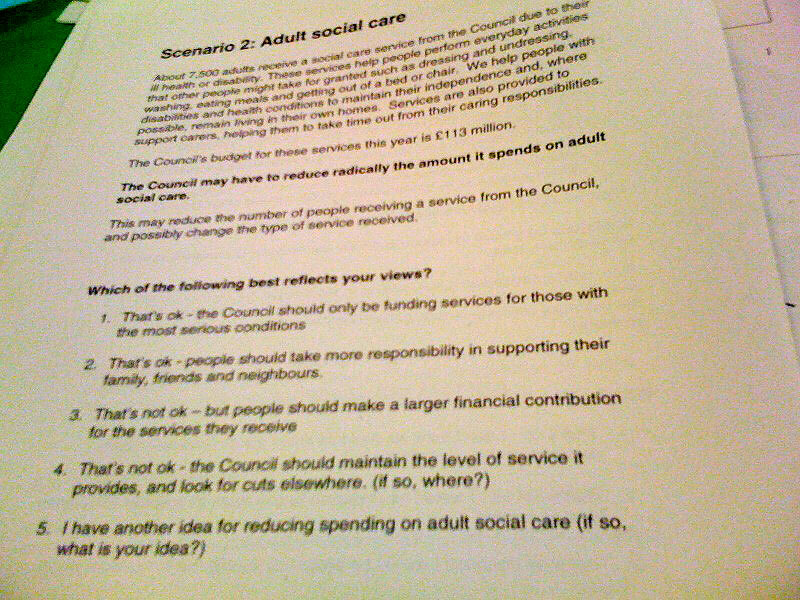 Four months ago informal discussions started at a senior level between Age Exchange and Lewisham about the possibility of the Borough making use in the provision of some of its services, of either or both of Age Exchange’s building in Blackheath village, namely the Reminiscence Centre and the Bakehouse. Just under four weeks ago Lewisham asked if they could talk to us about their Blackheath Library and Information Services. At a first meeting both parties agreed to examine the possibility of this service being relocated at the Reminiscence Centre but recognised that very little further work could be undertaken until Age Exchange had a clear idea of the range of service Lewisham might want to relocate. Age Exchange will commission architects to assess (1) whether such services could be relocated in upgraded and adapted ground and lower ground floor space at the Reminiscence Centre, (2) what, if this looked practical, the capital costs might be and (3) how quickly the physical transformation could be achieved. There was agreement that any future service could be staffed in part by trained volunteers. A Coordinating Oversight Group (COG) would be set up, to ensure that all involved parties were happy with what was planned (see PDF for full details). Age Exchange aren’t trying to prevent anyone from campaigning for the survival of the existing library, but they think that the budget looks pretty grim, and that an affordable solution could be worked out in partnership with them. They will be open about any progress that is made. Below are the documents from the Library Closure meeting with Lewisham council, kindly provided by a reader. 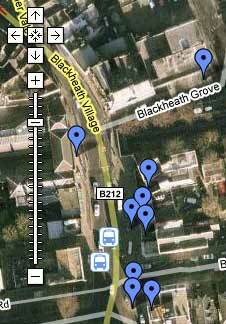 If you want to continue to receive information about the consultation into Blackheath library please send an email to the Blackheath Village Library Users Group at se3villagelibrary@yahoo.co.uk and ask to be added to their distribution list. They were collecting email addresses at the meeting for this purpose. So, what is to be made of this? Lewisham Council do not view the Piazza option as viable, due to lack of funds and local opposition. The metrics that they use (e.g. “Issues Per Hour”) to justify the closure are weighted against our library, because of the already limited opening hours – the library isn’t open for half the week! They are looking to make a lot of library staff redundant, and blame the high cost of the building, which is rented (i.e. short sightedness in never purchasing a building in the first place). I’m a big fan of the Age Exchange. I suspect that the offer was made in good faith, but will simply be the dying phase of the library. That’s not to say that it shouldn’t be accepted. In some respects, having a library in such a prominent place on the high street may work in its favour. I’m really torn by this proposal. What do you think? 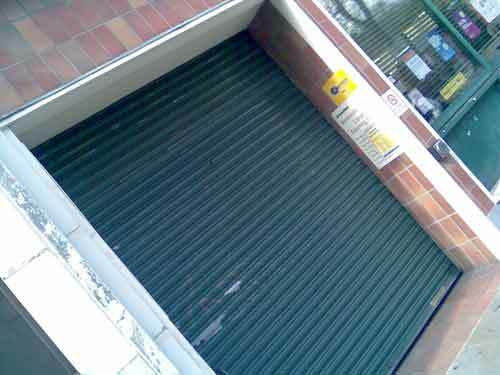 Lewisham Council are planning to close Blackheath Library (opposite the Post Office). 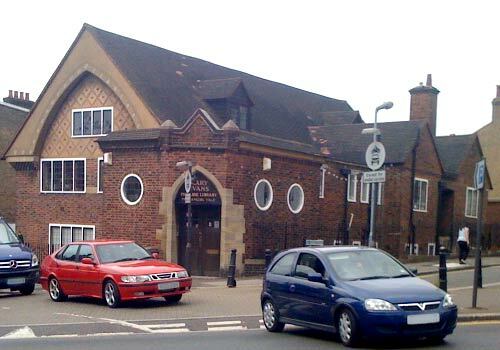 There’s a meeting about the closure on Wednesday (tomorrow as I write this) 28th July at 7pm, at the Leemore Centre, Clarendon Rise, Lewisham SE13 5ES. Please go if you care about your library. I can’t make it (really bad timing), so please let me know what happens. Very conveniently, it is nowhere near the library itself (see map above). Take the 108 bus towards Lewisham, and get off at Lockmead Road. Buses are every 3-8 minutes. Journey is less than 12 minutes. 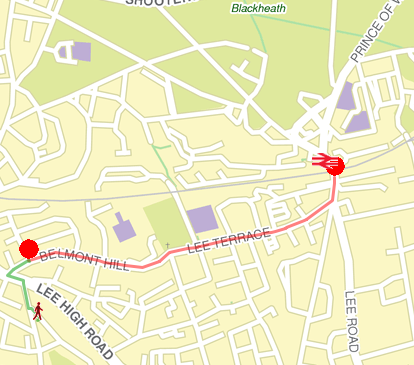 Less than 5 minutes walk from the bus stop to Leemore Centre. I attended a Blackheath Assembly for the first time yesterday. Held in the bright, airy hall of St. Matthew’s Academy (school), with a very post-modern crucifix hanging over us, it started out looking quite promising. Introductions, agendas, the obligatory local plod telling us to lock our windows when we go outside- the usual things. The meeting was very specific. We weren’t encouraged to ask questions about the library closures (there’s a meeting about Library Closure on 28th July at 7pm, at the Leemore Centre, Clarendon Rise, Lewisham SE13 5ES). We were told that only issues relating to Blackheath should be discussed. One person asked where he should raise Lewisham-wide issues “I don’t want any of the libraries to be cut”. No clear answer. Then came The Presentation. It rapidly became clear that this Consultation Exercise had only one purpose- to demonstrate that Lewisham Council should be perceived by its citizens as fundamentally skint. Liz Dart, who had the unenviable task of conveying this message, through the artistic medium of Microsoft PowerPoint, did her best. “I don’t think any of us went into the public sector wanting to close services” was a memorable line. The presentation was very clear. This is a UK-version of the shock-doctrine approach. Expect “Radical Change” to “completely revolutionise” how services are run. Voting Machines. Less useful than some paper and a pencil. Question: “How would you like us to kill your cat?”. A: I like my cat, kill someone else’s cat. B: Perhaps I could volunteer to kill other people’s cats? C: I think people with cats should kill their own cats, without the council paying. D: Maybe it would be OK, if you just lopped off one ear of that cat instead? E: I have another idea. (This is a facetious example. Lewisham council loves cats. I hope). The full set of questions can be read here (PDF file) or very poorly OCR’d version here (sorry). The online version, which uses slightly different questions, can be found at the incredibly patronisingly titled Our Lewisham Our Say page. It’s worth mentioning that the good people of Blackheath were having their views (un)represented by about 46 middle to old aged men and women, a sea of white middle class affability, who looked as though they might have been more at home in a daycare centre or a pub quiz. All of the questions were framed in such a way as to make the “don’t cut anything” option appear unreasonable. “We need to be greener- roads are less important in this new Eco-tastic Age”. When the voting began, it became obvious that whoever had set the quiz up hadn’t checked that the answers on the paper were in the same order as the answers on the screen. Bearing in mind that several members of the audience clearly had trouble with the electronic voting system, it became necessary for the “quizmaster” to read out every answer, and to try to urge the audience not to look at the paper handouts. 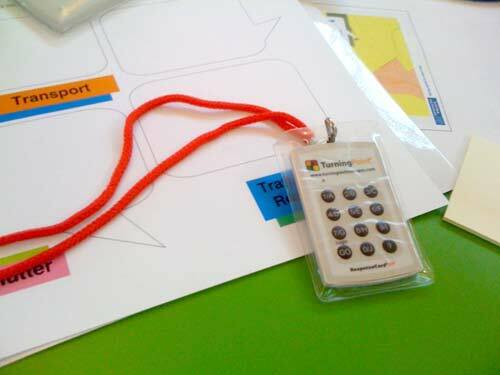 (Incidentally the quiz button machines are made by Turning Technologies – take note, they went catastrophically wrong halfway through the presentation, although that’s probably because the laptop was complaining about the Windows Profile being full). It’s a good point. No debate was held as the vote results were displayed. There was no time to discuss them. The presenters had no answers for the few pertinent questions asked by the audience. 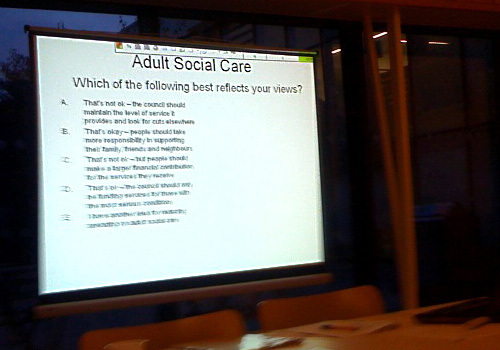 A great one was “What proportion of the council’s budget is spent on salaries over £65,000?“. No clear answer. The entire exercise could have been handled more efficiently using pencil and paper. The use of endless PowerPoint presentations and electronic voting systems feels as though it represents the general cruft and wastage within the council. “We do it this way, because that is how people present things”. A person standing up at the front and simply answering questions would have been far more effective than this. The sheer number of unelected, unrepresentative bodies mentioned during the talk defied belief. For example, the policeman showed us some crime maps (below average in Blackheath and dropping). “If you want to see more accurate maps, join the Blackheath Ward Panel – anyone can join”. When someone in the audience asked “why can’t we see the accurate maps”, the answer was “they contain sensitive information”. Either they are fit for public consumption or they aren’t. Why should they be shown to a tiny unrepresentative group? Then there is the self-nominated Coordinating Body. Anyone can nominate themselves to be on this group, and they meet four times a year, to set the agenda for the next meeting. Blackheath Village Residents Group aren’t on the list. Blackheath Society isn’t on the list. Having been to the meeting, I suspect that this is because they’ve realised that these meetings are something of a joke. A faux-democracy card-shuffling exercise, designed to give the illusion of power to a few bored individuals, who are going to either hand all of our public services over to the private sector, or just shut them. The founder of the Picture Library, which used to be a community hall, has passed away. Meant to post this last week, but my computer will only open in Safe Mode (never buying another windows machine). Excellent post about the proposed Library Closure on the Blackheath Village Residents Group website. 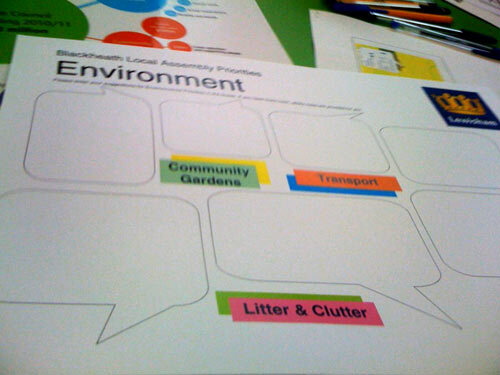 You can write to the Mayor and to councillors to express your view. The decision is ultimately one to be made by the Mayor, so we would encourage members to contact him (his email address is steve.bullock@lewisham.gov.uk) and also your councillors (Cllr_Christopher.Maines@lewisham.gov.uk ; Cllr_Kevin.Bonavia@lewisham.gov.uk; Cllr­_Amanda.deryk@lewisham.gov.uk ) and Heidi Alexander, the Lewisham East MP (heidi.alexander.mp@parliament.uk). Greenwich residents may wish to contact their Councillors. There’s a new Blackheath Village Library Users Group newsletter too, which is difficult to track down unless you’re on the Society’s email list, and only opens in Word, so I’ve reprinted it here (hope that’s ok – email me if it isn’t). Also: Provender (the veggie cafe near O’Neil’s) has closed, but will be replaced by a crepe/wrap place (according to the guy who was decorating it). Finally, if all of that is too dismal for you, there’s a nice blog post about how to pinch other people’s elderflowers in Blackheath, and what to do with them afterwards!